Recently, I was the lucky recipient of a pair of Vasque Taku GTX hiking boots and a Goodhew 2-pair pack of their Lifestyle Outdoor Medium Hiker socks thanks to the good folks over at Outdoor Blogger Network. In the process of reviewing these socks, I have learned way more than I ever dreamed I would need to know about a pair of socks. Before these Goodhew socks - socks were socks. Now, socks are just as technical a device as the pack I carry. I have never owned a pair of actual, declared, made-specifically-for-hiking socks. Why? Because I didn't know it would make a difference. Like I said, socks were socks. But... I was wrong. 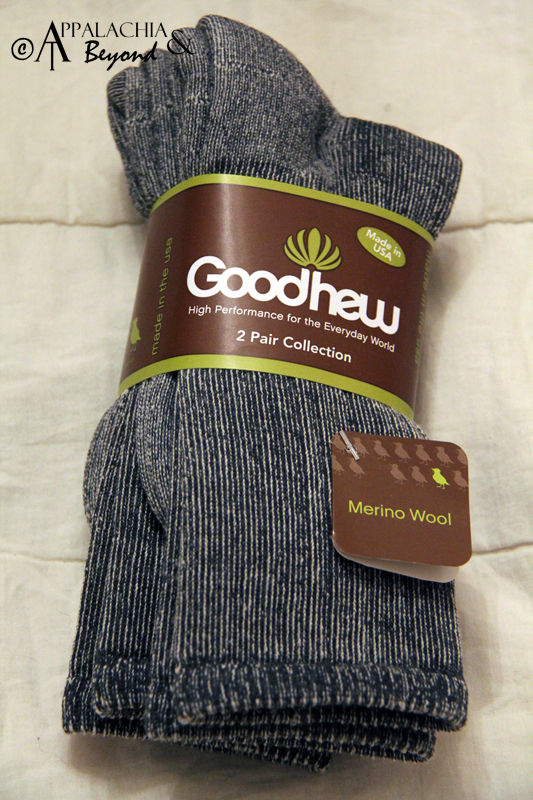 Goodhew knows socks, and they make a remarkably comfortable pair of hiking socks. The Lifestyle Outdoor line offers Light and Medium Hikers - both of which seem to be made for boots - and a few other types that would go well with shoes. I was sent the Medium Hikers, and I was skeptical about wearing them in East Tennessee's 90 degree weather. The socks are thick, very cushioned, and made of mostly Merino Wool. I'd always associated wool with winter (and although I can't wait to wear them then), they worked wonders for me on my recent hike with temperatures topping out in the 90's. Because of the fast moisture wicking of the Merino wool, my feet never once felt sweaty or overheated. I also loved the flat toe seam. 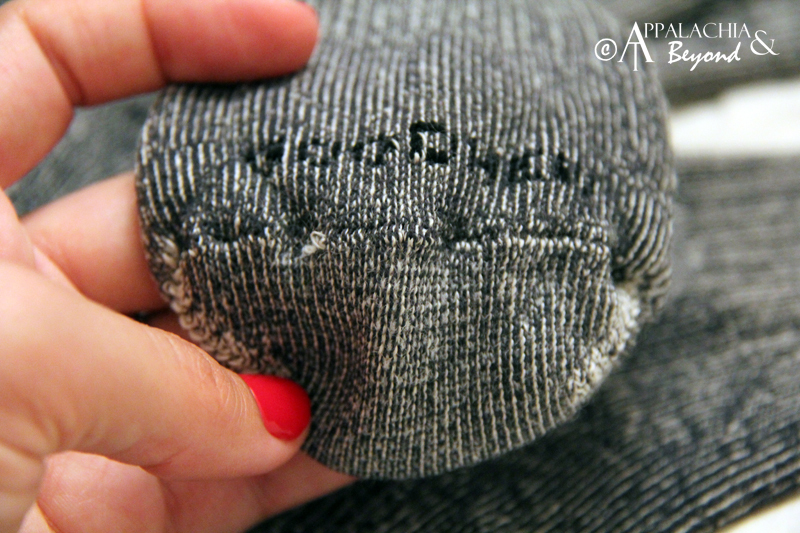 I am so picky about the seam on a sock, and any crowding in my toes just makes it worse. The Medium Hikers' seam sits on top of the toe box instead of being seamed right at the toe area. They also have great arch support, and though my arches have never complained, I could feel that the sock was tighter around that area. I'd say this would work wonders for someone who needs the support. I was a little unsure about how to wash these socks, because I've always known never to machine wash wool, but the instructions on the label said that I could as long as I turned them inside out. The socks have been through at least 3 wash cycles since I've had them, and they show absolutely no wash wear and they are very resilient - bouncing back to their original form after each wash. The 2-pair pack is available for purchase through any Goodhew retailer (find one here). 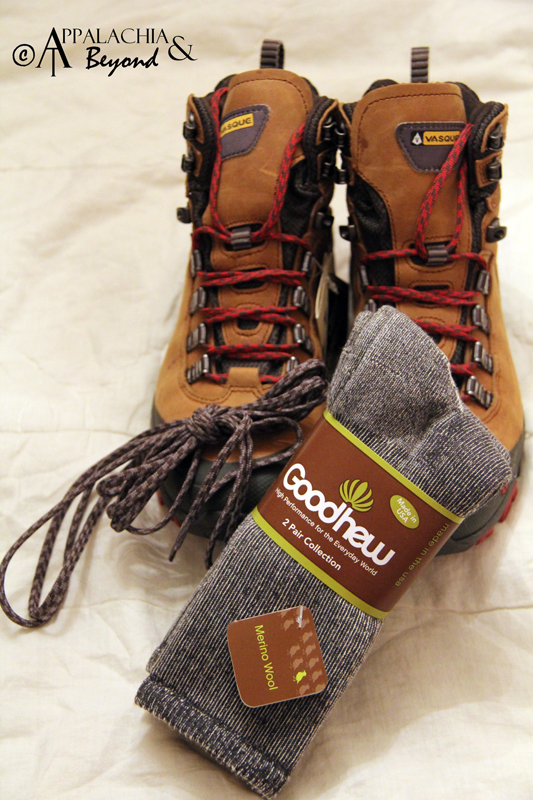 Disclaimer: Robin received the Goodhew Medium Hiker Socks from the Outdoor Bloggers Network's Gear Review Opportunity. 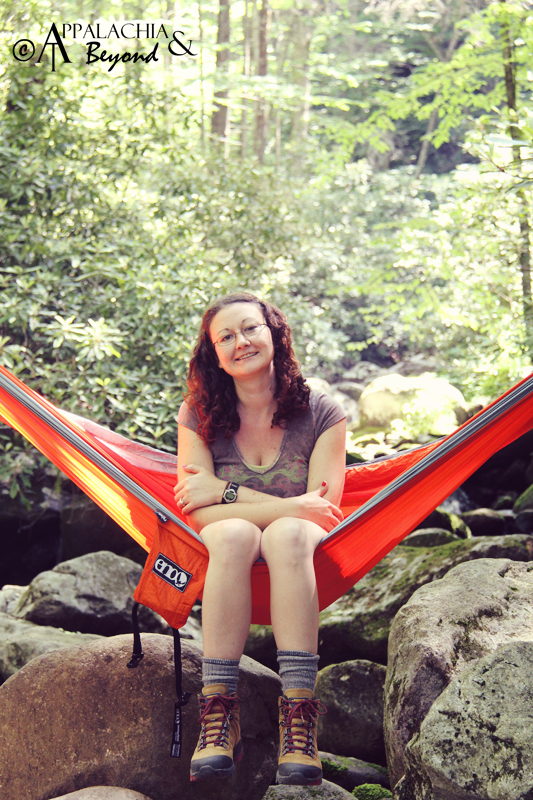 In being rewarded the socks she was required to review them here on Appalachia & Beyond. The opinions expressed above are Robin's independent thoughts and experiences.